Rebbe Nachman said "I want to journey to Eretz Yisroel and I know the great opposition and hindrances that I will have doing this, they will be numerous and uncountable. However as long as my soul is inside me, as long as I have life, I will sacrifice my soul and travel with all my might there. As long as I am still alive I will travel there "and Hashem should do as he sees fit in his eyes." Immediately they rented proper accommodations for them in the district of Istanbul called 'Galita'. When they entered, after an hour or two, Rebbe Nachman said he did not desire to remain there. Their translator asked him if it would suit them to stay in Central Istanbul which served as the Royal district where the Turkish ruler resides, since no couples are allowed in, only males alone. Rebbe Nachman answered that for sure there it is good by him. 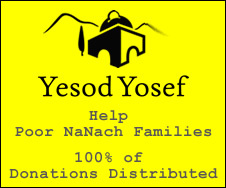 He would greatly boast that he had merited to have been in Eretz Yisroel . Even in the end of his days, he said that he revives himself greatly with that that he had merited to have been in Eretz Yisroel. After all these, after he did all types of spiritual services as mentioned above with simplicity and truth, and was abundant in fasts, many countless prayers, sigufim (self tormentations) and breaking of the lusts and bad attributes and he after he had passed many tests and other circumstances mentioned above and was abundant very much in Hisbodedute, speaking between himself and his Creator, laying out his conversation in Yiddish etc... Until he reached an extremely high and lofty spiritual level of maximum holiness while in complete nullification and great closeness to Hashem on the levels of the great spiritual ascenders. All this he merited in the days of his very youth, since during the days he did not rest and at night he did not sleep or slumber. He was very persistent in his spiritual worship from day to day, beginning from the days of his early youth. He worked and toiled greatly from day to day, until he merited in his very youth to all the above levels, to a very high and awesome holiness and great enlightenment on the levels of the great spiritual ascenders. Despite having merited all the above he did not pacify his mind with this and would not allow himself to stand still. Even afterwards, every day and every hour he would yearn, crave and languish for Hashem, as if he had not yet started any spiritual service at all. Even after he returned from Eretz Yisroel where he merited very great and lofty enlightenment that can not even be measured, yet despite this from the day he arrived from Eretz Yisroel until the day he passed away in peace, above and above, he always yearned and craved for Hashem as if he had not yet accomplished anything at all. To write about this there will not be enough parchment. Even the little we merited to understand regarding this from what we heard from his holy mouth and what we saw with our eyes. Each time it was his custom to yearn for Hashem while being very truthfully humble in his own eyes, having great mercy on himself as if he still had never smelled any smell from the Service of Hashem and as if he had not started at all. A person that has transgressed the entire Torah numerous times, Heaven forbid. When this man truthfully awakens to repent and then examines himself to see where he is holding in this world, for sure he has a very broken heart and has great mercy upon himself with great submission and humility. There is no reason to discuss something that is self understood. Still even the mercy and broken heart of this baal teshuva does not reach a thousandth of the great mercy, broken heart, submission and humility that Rebbe Nachman had each and every time before he reached a higher level of enlightenment. As a rule, Rebbe Nachman never rested and was never still even in his days of greatness. Even though he already merited what he merited, having G-dly perception in an high, fearful and awesome level. Despite this he was not satisfied and toiled and labored at all times and all hours, accepting suffering upon himself, hard bitter suffering to which almost no comparison exists and said many prayers, pleadings, beseechings and requests with very great fearsome yearning and lounging until he reached a higher level of enlightenment. After this, immediately after he merited this enlightenment he was a little joyous. There were times we merited to hear from his mouth that currently he had become aware of new things etc... then he was happy a little. After this, as soon as he merited to this he began anew, forgetting all the past, as if he had not started yet at all. He then went back and began anew as a person does when they begin arriving and entering the holiness of Judaism. There were times we would hear explicitly from his mouth how he said with yearning and aspiration "How does one merit to be a Jew?". He would say this with truth and great simplicity as if he had not yet started at all. So to this happened a number of times. He would constantly go up from level to level, even though he had already merited very great high and fearsome of levels etc... Despite this he would never pacify his mind with this at all. Immediately after he would have a broken heart and great mercy upon himself with great submission etc... until he managed to reach an even higher level. So too was his path until the end. Many times it was his custom to say that now he does not know absolutely anything at all. There were times where he swore on this, that truthfully he does not know at all, even though the proceeding day or just an hour earlier, he revealed ancient things. Despite this afterwards he said that he does not know at all. Regarding this he was a very very big innovation. He said explicitly that his Torah is a very big innovation, however he "not knowing" is even an exceedingly greater innovation. It was already hear from his holy mouth that he said, "there are Tzadikim that worked hard and toiled until they merited some level, each Tzadik to the level that he merited. For example; by a king, each of his ministers through their labor merits to a certain stature or high position according to their efforts". However regarding himself he said, that if he knows that currently he was holding on the same level and position as yesterday, he does not wish to exists at all. Rather each time he climbs from level to level. There is much to discus regarding this, however it is impossible to put this into writing. Only a person that merited to see this with his eyes and to hear it with his ears was able to comprehend in his heart a little regarding how he never ever remained in one level. Rather immediately he would yearn to climb to a higher level, until he merited etc.. Like this he acted constantly. He was a great innovation regarding this and all this was according to our limited perception. There is more to this subject, mysteries of mysteries, wonders of wonders, enough has been said. Regarding the ultimate knowledge of 'knowing nothing', he also discussed with us a little a few times. How in every state of knowledge this 'ultimate goal' exists. Therefore even if we merit to reach this 'ultimate goal' of 'knowing nothing, despite this it is still not the 'final ultimate goal', since it is only the 'ultimate goal' in this state of knowledge and afterwards we need to work hard to merit the 'higher ultimate goal', and merit the ultimate level of 'knowing nothing' in a higher state of knowledge, so too forever. It comes out that at all times we know nothing at all, yet despite this, we did not begin to comprehend the final goal. Once a king sent three men to a foreign country with hidden message for a different king. They had to pass amongst countries that were hostile to the king. The first messenger acted with wisdom, completely hiding his mission. He passed through the entire hostile country and they did not even perceive that he had a hidden message. When the second messenger passed thorough, the hostile countrymen realized his mission, they understood he carried a hidden message and captured him so he would reveal it. However, he managed to act with wisdom or strength and escaped from their hands. When the third messenger passed through they realized his mission as well, they understood he had a hidden message. They captured him and tortured him with all types of tortures, numerous times. Regardless of all the tortures, afflictions and great suffering they inflicted on him, he did not speak a word, passing the test and not revealing the hidden message. Once they saw that nothing was working, they let him go as they thought he must not know anything. He then traveled and came before the king. They were pondering which of the above three messengers deserved a greater reward. Some said, the first messenger deserved the most since he acted with wisdom and completely concealed his mission. Others said, the second messenger deserves more since they already caught him and despite this, he managed to escape through his wisdom or strength. The king then said "the third messenger deserves a greater reward then all of them since he had already become caught in their trap and for sure he also wanted to conceal his mission but had not managed to do so. He was then captured in their hands and they tormented him, torturing him with suffering and afflictions. Had he revealed even one hidden message, everyone would have chased after him in honor. Despite this he withstood the test and and did not reveal a thing. Therefore he deserves a greater reward then them all".